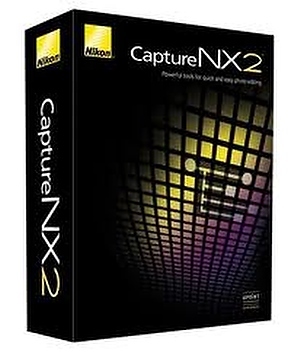 Nikon has released an update to it's Nikon Capture NX2 image editing application. Version 2.4.6 adds support for the new D3300 camera and improvements in White Balance handling as well as a couple of OS specific fixes. You can download the software from the Nikon support sites: EU | USA. Support for RAW images captured with the D3300 has been added. Advanced settings, such as Sharpening, under Camera Settings > Picture Control in the Develop section of the Edit List palette can now be adjusted, even when Unchanged is selected for Picture Control when RAW images are opened. The following modifications and additions have been applied to White Balance > New WB in the Camera Settings portion of the Develop section in the Edit List palette. - An Auto 1 option has been added to White Balance > New WB options. Capture NX 2 adjusts white balance for colors similar to those achieved in images captured with a camera's Auto 1 (Normal)* white balance setting. However, only RAW images captured with the following cameras are supported. - Adjustment units available with the Tint option have been changed from 1 to 0.01 for more precise specification. - The adjustment range for Fine Adjustment when Direct sunlight is selected for Daylight has been expanded from 4132–7042k to 2500–7042k. - Adjustment using Fine Adjustment and Tint is now possible when Recorded Value, Auto 1, Auto 2, or Underwater is selected. - An error occurred when XMP/IPTC files created with Capture NX 2 Ver. 2.4.3 or earlier were opened. - Details specified in the Print layout dialog and page setup dialog displayed with selection of Page Setup... in the File menu were not applied. An issue has been resolved where image files saved to a disk formatted using the FAT32 architecture were edited and saved, editing details were not applied.